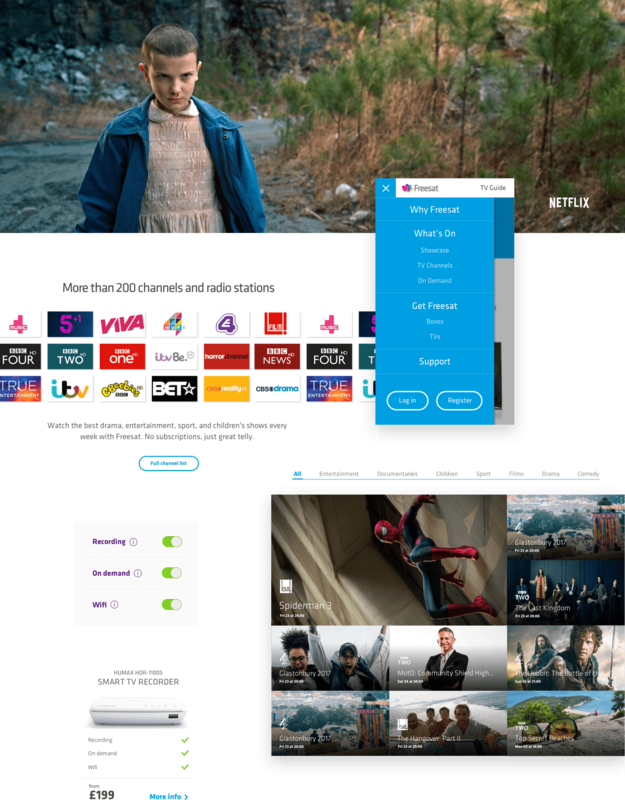 A dynamic FAQ section that answers key customer queries for potential customers and troubleshooting for current Freesat users. 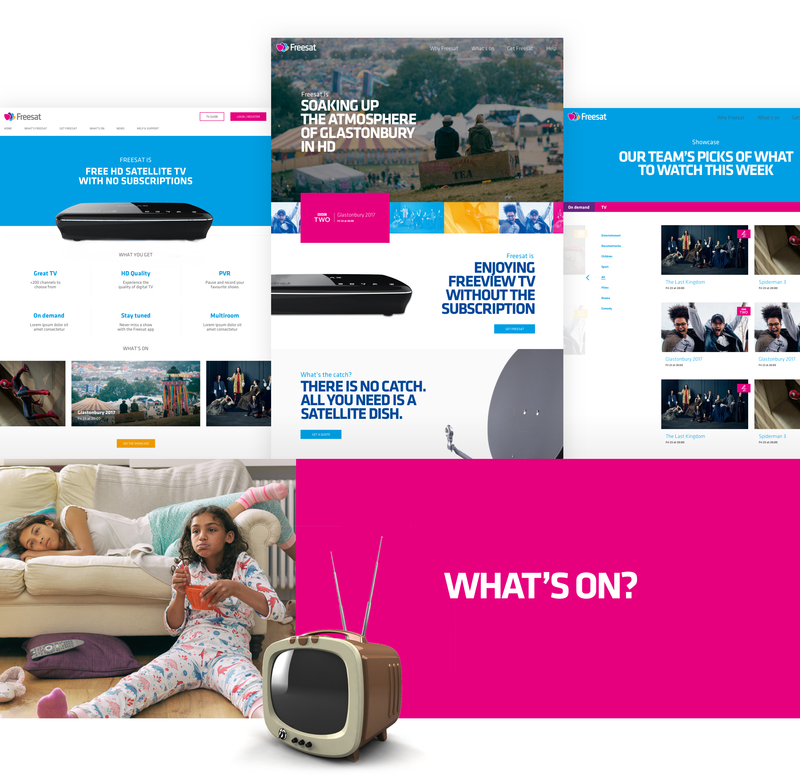 We used Freesat's existing brand assets and applied the bold colour palette throughout the design to enhance key sections and CTAs. 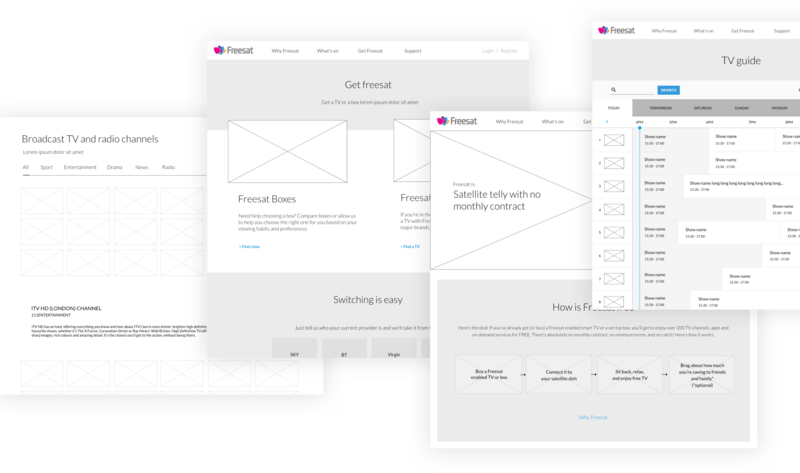 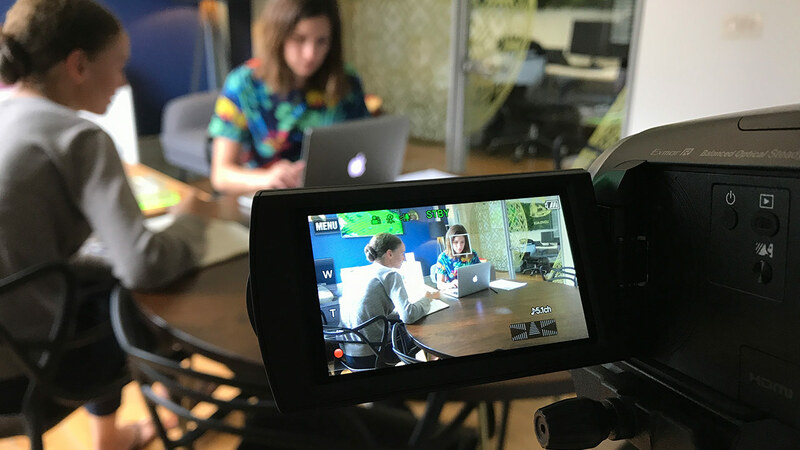 We updated the brand guidelines and style guide, ensuring that new campaign and landing pages would be visually consistent with the rest of the site.